The Entenmann’s Little Bites family is growing! Introducing Entenmann’s Little Bites Snackin’ Bites. Made with a soft cereal crust and packed with delicious fruit filling, new Little Bites Snackin’ Bites are now available in select markets throughout the country! The delicious new addition to the Entenmann’s Little Bites family of snacks is consistent with the Little Bites goodness that families already love, is destined to put a smile on kids’ faces and make parents feel good when they serve them! A good source of Calcium, Vitamin D and Fiber, these new “pop in your mouth” bite-sized snackin’ squares contain no artificial flavors, colors, or preservatives and have 0g trans fat. Each box contains five portable pouches with six individual Snackin’ Bites mini bars per pouch. Since 1999, the Little Bites brand has resonated with families as a “good choice” snack that satisfies both moms and kids. The pre-portioned pouches of delicious multi-piece bite-sized baked muffins and brownies are always moist and, mess-free and perfect for the needs of today’s families’ on-the-go. 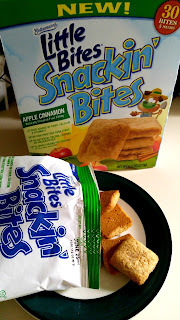 Little Bites Snackin’ Bites Apple Cinnamon are filled with the flavor of fresh apples delicately seasoned with cinnamon and surrounded with a soft cereal crust, these new Little Bites Snackin’ Bites are perfect for any snacking occasion, even for a quick breakfast on the go! 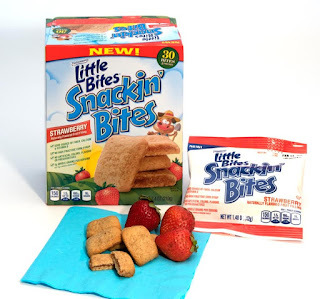 Little Bites Snackin’ Bites Strawberry are made with the refreshingly sweet flavor of real plump strawberries, baked in a soft cereal-bar- like crust, these delicious new Little Bites Snackin’ Bites are a perfect go-to happy snack! These tasty snacks are amazing. Not only the kids in our house like them, but the adults do as well. They are perfect for school snacks, to throw in the sports bag for after practice or just to munch on when you hit that afternoon hunger slump. The apple cinnamon remind me of mini apple pies! Hard not to eat more than one! 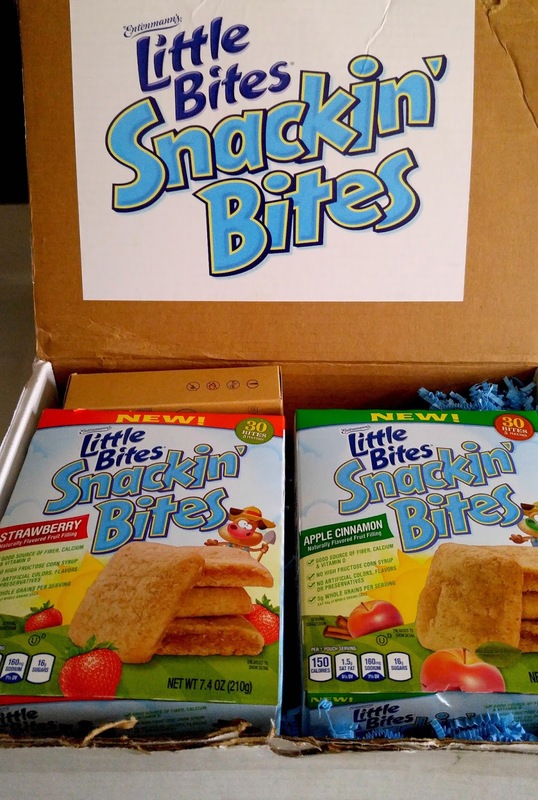 One lucky reader (US only) will win a package - valued at $45.00 that contains Two boxes of Little Bites Snackin’ Bites , five Little Bites coupons, and one custom Little Bites Snackin’ Bites USB portable charger!